Smoky Mountain Waterfalls are some of the most spectacular in the South. There are waterfalls ranging from 25 feet to 180 feet! The waterfalls featured here are ideal for those who are more interested in the waterfall itself, than a hike to see it. However, there are some waterfalls featured that do require a few miles of hiking through beautiful nature and scenery. The amount of water tumbling over the rocks at Smoky Mountain waterfalls make them desirable. Abrams Falls is one of Gatlinburg’s more popular and shorter waterfalls. At 25 feet tall, the height is not what makes it unique. 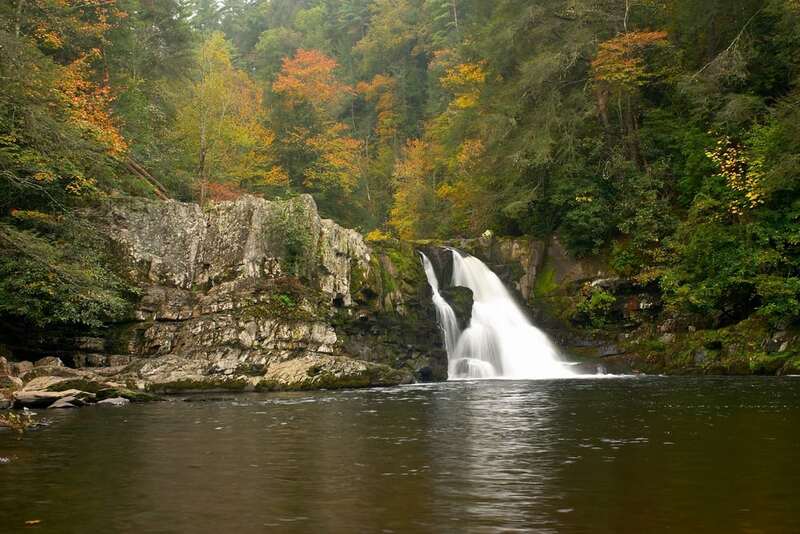 It is the 2.5 miles it takes to get to Abrams Falls where you will see the gushing water flowing over the rocks. Abrams Falls and the water flowing over if produces a large pool of water that is a breathtaking in itself. Cherokee Chief Abram, whose village was not far from the falls, is who the falls was named after. Laurel Falls is an amazing 80 feet fall, and is one of the Smoky Mountains most popular waterfalls for visitors. It is named after the Mountain Laurel, one of the many delightful flowers in the Gatlinburg area. The Laurel Falls Trail is easy, and the round trip hike is only 2.5 miles. Juney Whank Falls Loop is a noteworthy Smoky Mountain waterfall, and like Laurel Falls, it also is a giant at 80 feet tall. The walking trail provided for this waterfall is only .8 miles round trip. 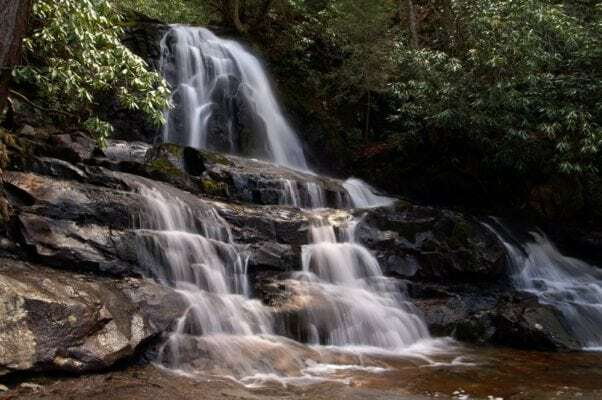 When visiting Juney Whank Falls Loop, you can continue along the trail to find 2 more popular Smoky Mountain waterfalls, Toms Branch Falls and Indian Creek Falls. If the short hike to Juney Whank Falls Loop tweaked your interest, you may want to also check out Mingo Falls. Its trail is moderately difficult, and only .4 miles round trip. 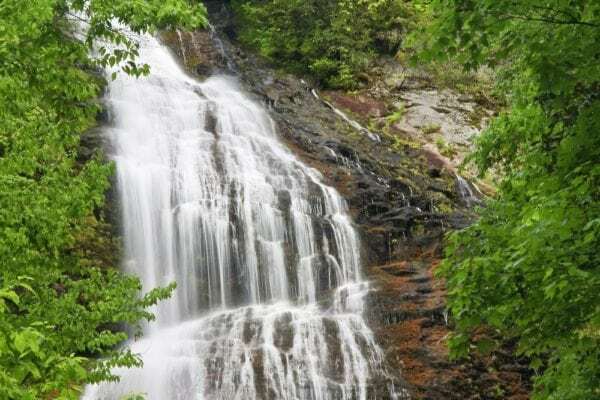 Mingo Falls is located on the Cherokee Indian Reservation, and is one of the tallest in the southern Appalachian Mountains at 180 feet tall! If you want to see the beauty of a waterfall without the hike, then Mingo Falls is for you. 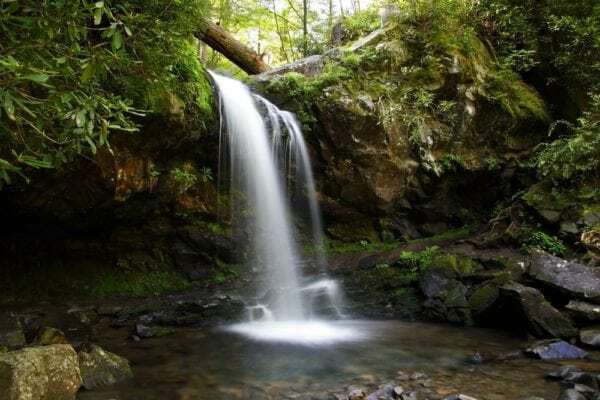 Grotto Falls is the perfect Smoky Mountain waterfall for a summer hike. It is located in a dense hemlock forest that provides many shaded areas. This moderately difficult trail is 2.6 miles roundtrip. It runs behind Grotto Falls, which is 25 feet tall, and is perfect for cooling off. This environment is perfect for salamanders. 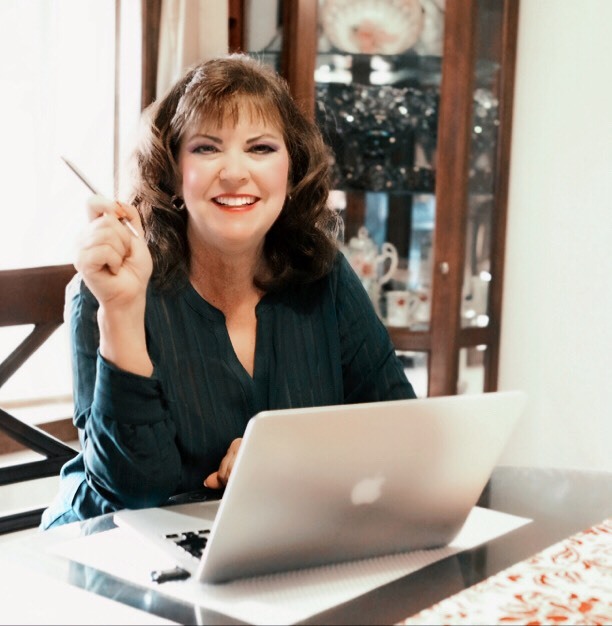 The Great Smoky Mountains are known as the salamander capital of the world. All of the Smoky Mountain waterfalls offer something different. They each provide a gorgeous sight for hikers to enjoy. 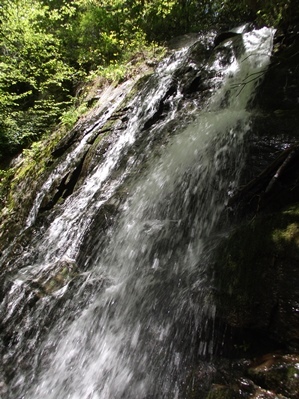 Whether you’re looking for an easy or more challenging trail, there is a Gatlinburg waterfall hike for you. For more information on Gatlinburg waterfalls, click here. Whether there are only a few in your group, or as many as 16, My Bearfoot Cabins has a cabin just right for you.